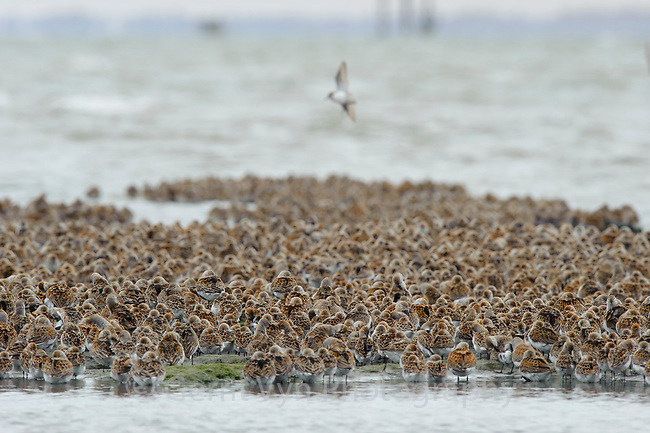 Western Sandpipers (Calidris mauri) and Dunlin (Calidris alpina) roosing during spring migration. Gray's Harbor County, Washington. April.